Southland Academy 2016 graduate, Mary Margaret Turton, will be the next Auburn University SGA president. A junior in business analytics and public relations, Turton becomes the fourth woman SGA president at Auburn University. Turton ran against two other candidates, Daniel Calhoun and Brooks Jones. She won with 44 percent of the vote. 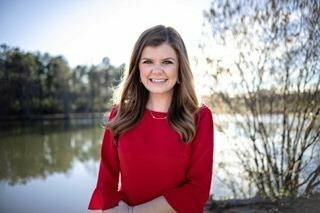 Turton commended her two opponents and said she was proud that Auburn was able to offer three worthy and qualified candidates who would all have done a good job in the position. Turton has been heavily involved with SGA during her time on The Plains. In addition to being a Lobby Board member, she is currently a College of Business senator, which has included serving on the Budget and Finance Committee as well as being the director of city relations in SGA cabinet. Her campaign, “Turton on Target,” had three main platform points — campus life, innovation and wellness. Turton said the reason she chose to run was the same reason she fell in love with Auburn and decided to come to the University for school. That is the people. Southland Academy Headmaster, Ty Kinslow, said, “Southland is very proud of Mary Margaret. She is a very determined hard working young person. She had a successful high school career at Southland, and her future continues to look bright at Auburn University. She will be an AUsome SGA president! Congratulations to Mary Margaret and her family for such a distinguished achievement.” Mary Margaret is the daughter of Greg and Lori Turton of Cordele.